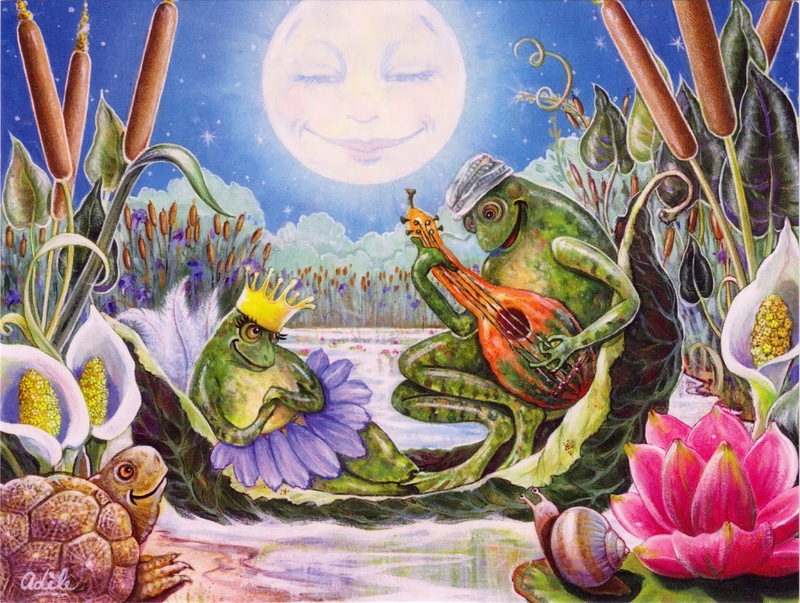 Postcard US-2574042 is traveling to Russia, showing cute frogs in love under a full moon. "Two froggy sweethearts spoon under the smiling June moon. Turtle and Snail look on as the fragrance of water lilies and soft sounds of waving cattails fill the evening air." You can purchase a copy from Zazzle.